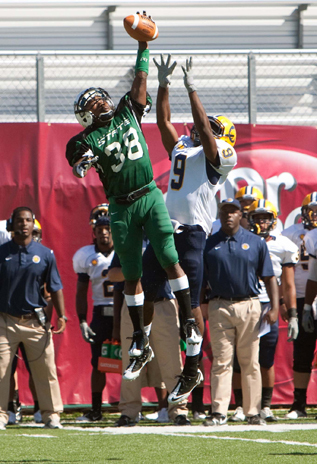 Northeastern State University's Nate Robinson pulls down an interception in front of Kenzee Jackson during the RiverHawks' 38-7 homecoming victory over Texas A&M-Commerce on October 9, 2010. Robinson intercepted two passes on the day. The RiverHawks are now atop the Lone Star Conference North standings with a 2-0 mark. 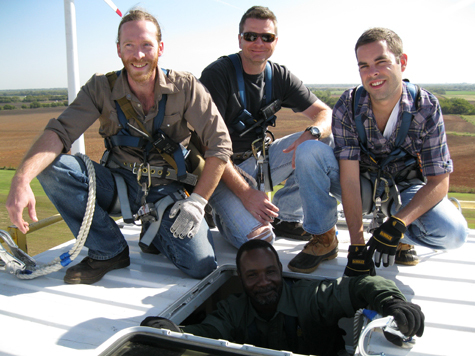 OSU-Oklahoma City wind turbine technology students Robert Etheridge, Jason Stull, Andrew Kline and Ondraye Swanegan climbed high during their recent program capstone class. 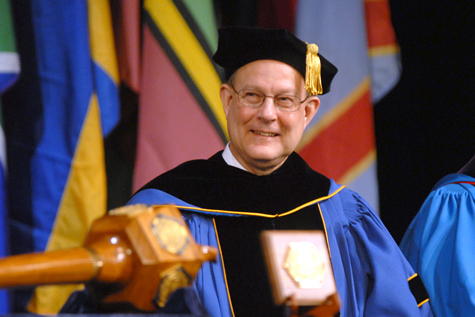 Dr. Larry Minks became the 19th president of Southeastern during his investiture on Oct. 27.